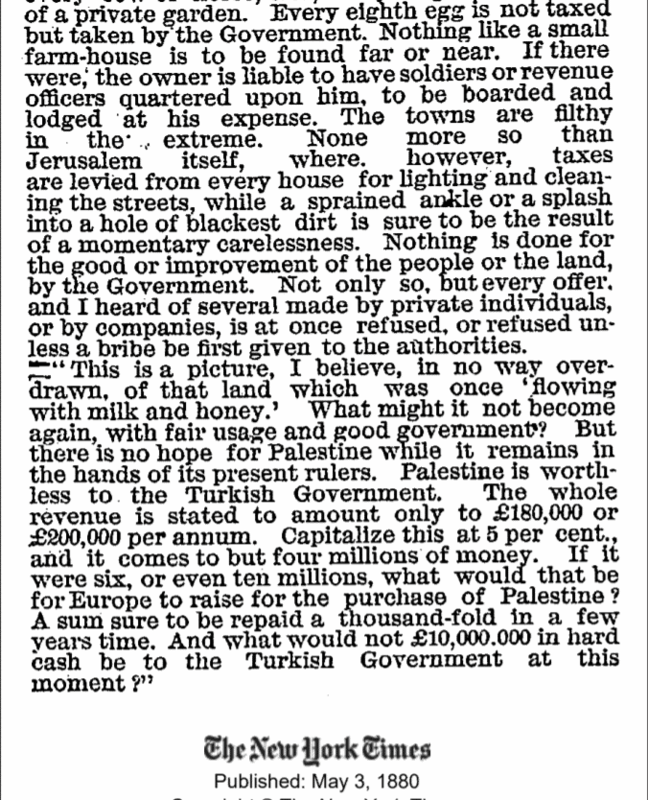 A series where I bring to you news from the newspaper archives and historical documents to debunk common misconceptions about the Middle East conflict. I’ve dealt with it before: contrary to the palestinian Arab narrative, the land was a desolate mess before the mass immigration of Jews returning to their indigenous homeland. But it never hurts to provide more proof. 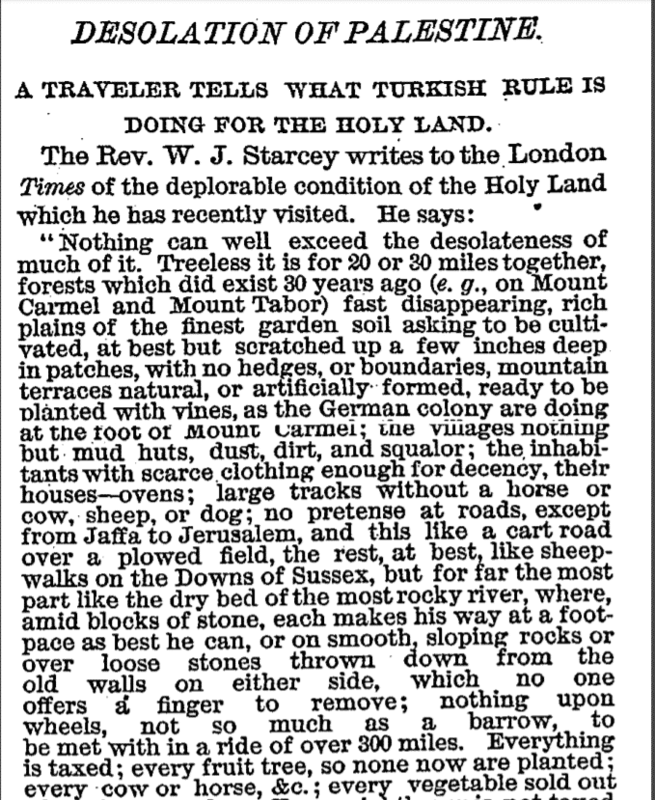 And here it is – a New York Times article from 1880. If only they knew it happened.